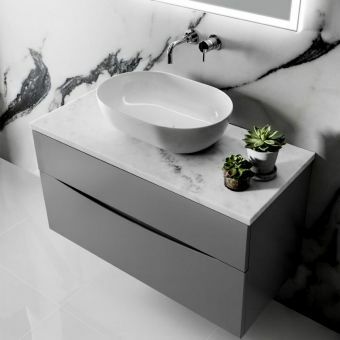 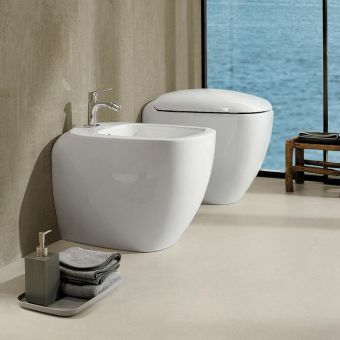 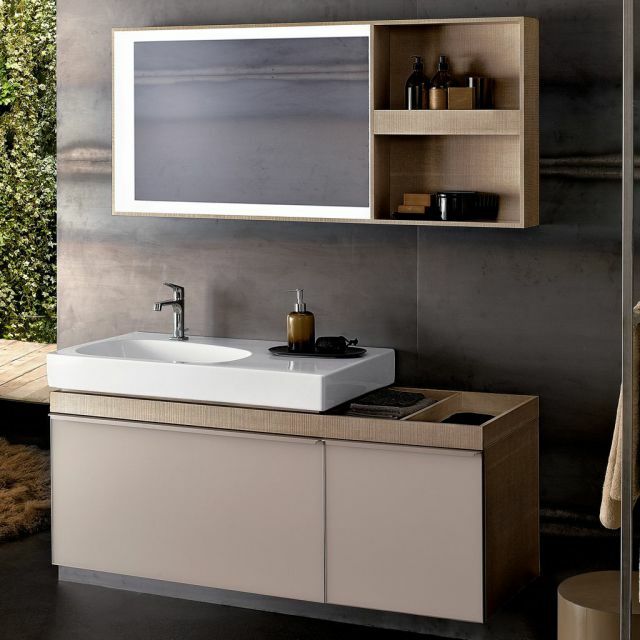 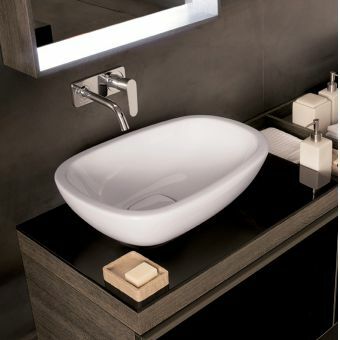 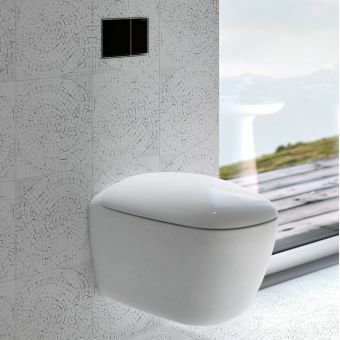 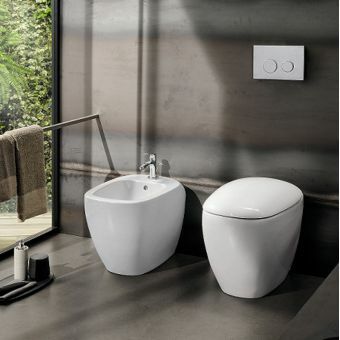 Part of the Geberit Citerrio range, this two-drawer basin unit comes with all the quality and precision manufacturing associated with the company, while lending a sleek, streamlined feel to your bathroom. 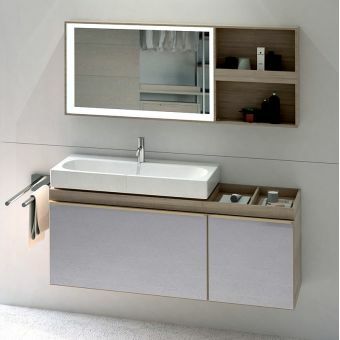 There are two drawers to the front of the unit, one wide and one narrow, each featuring a robust metal frame and smooth glass panel front. 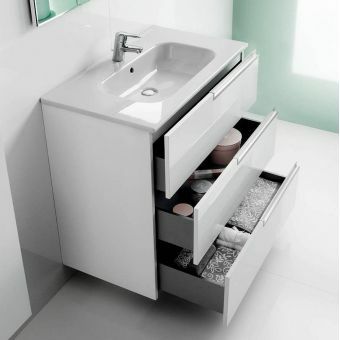 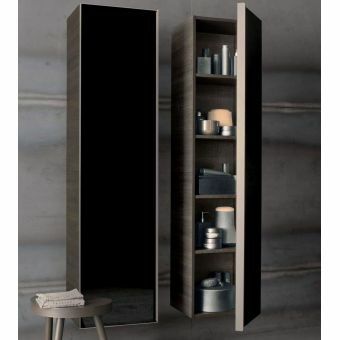 The drawers have soft-closing mechanisms and metal, top-mounted handles for easy opening and closing. 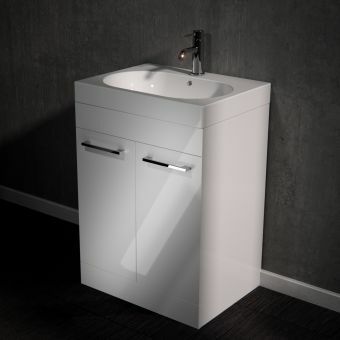 Delivered pre-assembled, the body of the unit comes in a choice of colours including a warming taupe or alternative stylish black sheen. 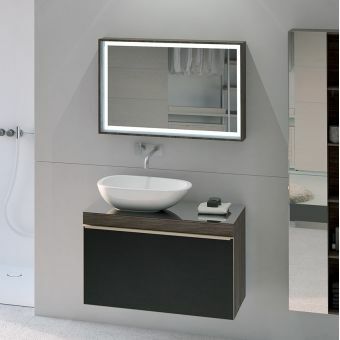 In each case, the glass drawer fronts are tinted to match your colour choice for the unit. 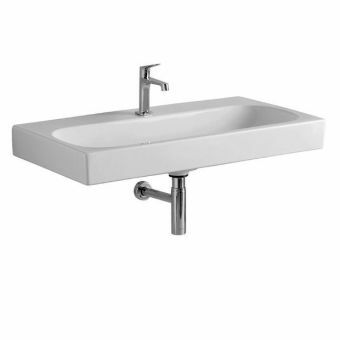 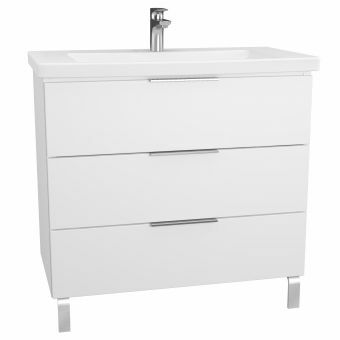 Also available is the matching basin for this cabinet, in gloss white, which is sunk into the unit top and includes a single hole to fit a mixer tap of your choice. 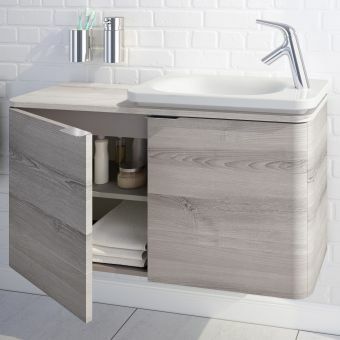 There are two, inset storage areas adjacent to the basin, allowing you to store frequently used toiletries within easy reach.